Probably the most recent entry to wine categories around the world, barely quarter of a century old, is that of English Sparkling Wine. Made in the traditional method and mostly from the three ‘Champagne grapes’ Chardonnay, Pinot Meunier and Pinot Noir, its success has been remarkable and investors with deep pockets have been boosting the acreage under vines across southern England at the recent rate of 240 hectares – one million vines based on an average of 4,000 vines a hectare – over the past three years. 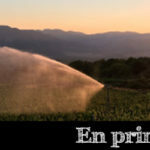 Over the last decade acreage under vine has more than doubled and since 2000 it has tripled, arriving at the end of 2017 to 2.500 hectares, spread across over 500 commercial vineyards and at the last count 135 wineries. The most prolific recent vintage was 2014 with a total production of 6.3 million bottles and this is targeted to reach 10 million bottles by 2020. Not all of this is sparkling, which represented 66% in 2015, but recent plantings are almost for this category, since the quality from well-tended vines in England’s cool climate has proved remarkably good. These wines are priced alongside Champagne, as production costs are high and yields much lower than across the channel, and in blind tastings against well-known Champagne brands, the English versions have shown well. Perhaps I, more than anyone, knows how dangerous the results of a blind tasting can be if taken as an expression of fact, and certainly some placings here could be questioned, but this is the ranking that a room of experienced wine drinkers came up with that evening. With my family’s Bride Valley Vineyard, I am a recent and very small part of the English Sparkling Wine movement. 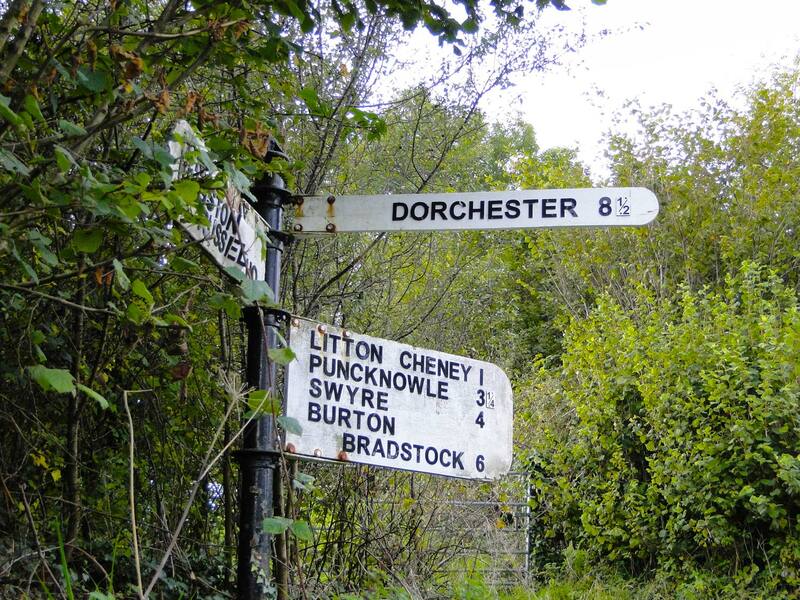 The whole story began in June 1987, when my wife purchased a house in Litton Cheney, a small village in south-west Dorset and a 200 acre farm on the edge of the village. Walking around the farm on the first day I saw it had a lot of chalk, and, since I was still working in Paris at the time I put a block of it in my pocket and once at my wine school L’Academie du Vin, showed it to Michel Bettane, asking him where he thought it was from. “Champagne, of course” he replied. “No, from Dorset” I replied. “Then you should plant a vineyard” was his final comment. A little later, I invited my friend Michel Laroche from Chablis to stay and sent him back with some soil samples, the analysis showing that it was suitable for Chardonnay, Pinot Blanc and even Pinot Noir. At that time, I would have planted Pinot Auxerrois, a grape I liked from Alsace, to make a still wine, but thankfully didn’t have the funds to do so. In the early 1990s I was invited to the Awards Ceremony of the International Wine and Spirit Competition, and entering the room was offered a glass of sparkling wine and asked to say that it was: “Champagne, probably a Grand Cru Blanc de Blancs, possibly Cramant.” This was Nyetimber from Kent in south-east England, which that year had beaten all the Champagnes to take top honours. This was the launch of English Sparkling Wine and I followed their growing success and by the mid 2000s it was plain that overall quality was good and I could not resist the idea of following Michel Bettane’s advice, so put together a dossier which I presented to the Boisset company of Burgundy at the 2007 Vinexpo. They had heard of the success of English Sparkling Wine and, being one of the best producers of Cremant de Bourgogne as well as owning Varichon et Clerc in the Savoie, were very interested. That autumn we received a visit from Georges Legrand, their top sparkling wine expert, who looked over the farm and estimated that there were around 30 hectares that could be planted and took back many soil samples to Nuits-St-Georges. 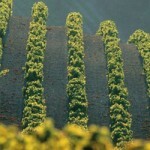 They were looking for a joint-venture and with 30 hectares under vines we would have built a winery on the farm. During his stay, Georges Legrand who was accompanied by a member of the Pepinieres Guillaume team from northern Burgundy, suppliers of vines to all top estates in Champagne and Burgundy and far further afield, visited Ian Edwards at Furleigh Estate, just half an hour away from us, as well as many other estates in southern England to get a feel for what was happening. When the analysis came back, taking into account our quite high elevation, it appeared that there were really only ten or so hectares that were suitable for planting and the Boissets gave us the following advice: “You and Bella plant these yourselves, buy the vines from Pepinieres Guillaume, take the grapes to Ian Edwards and if all goes well, we will buy everything you produce.” With this encouragement I went ahead and the first two hectares were planted in 2009, producing a tiny harvest of just 480 bottles in late October 2011, the month of my 70th birthday. The final plantings were in 2013, bringing the vineyard to just over 10 hectares, 43,000 vines, 55% Chardonnay with seven different clones, 25% Pinot Noir with five clones, 20% Pinot Meunier with two clones, with overall two rootstocks – Fercal and 41B – to suit our sparse, very chalky soil. While it was plain that this venture would be known as ‘The Spurrier Vineyard’, I didn’t want it to carry my name and luckily we are in an area of natural beauty known as The Bride Valley, the little River Bride flowing through the village of Litton Cheney on its way to the sea four miles away. It was an easy choice to name it Bride Valley Vineyard. To say this venture has not gone according to plan is an understatement, for I had not taken into account the risks of the vineyard business. Shortly after the first original plantings, I was once again at Vinexpo attending a grand dinner at Chateau Lafite-Rothschild. I mentioned to Eric de Rothschild that I had just planted a vineyard and he put his arm around my shoulder and said “Welcome to the Club.” At the time I thought it an expression of collegiate congratulation. Now, I feel it was more experienced commiseration. The grapes that we take to Furleigh Estate turn into very elegant wines, which I release only as vintage wines with a low ‘dosage’ for England of 8 g/l for the Brut Reserve (usually one third of each of the grapes) and the Blanc de Blancs and even 7 g/l for the Rose Bella, but up to the vintage 2017, we just do not produce enough. Over the six vintages since 2011, which I have not counted as it was such a lovely birthday gift, we are averaging under one quarter of a bottle a vine. I am a born optimist and my family motto – Stimulos Adde or Spur On – means I will not give up. 2014 was a great vintage both in quality and quantity terms, and I hope 2018 will follow that pattern into a more comfortable future. Many articles have been written on English Sparkling Wine recently, the most comprehensive being ‘The Changing Landscape of English Sparkling’ by Susie Barrie MW, one of the acknowledged experts on the subject. She notes the fact that the Champagne houses of Taittinger and Vranken-Pommery have recently bought land in Kent and Hampshire respectively, the former in partnership with Hatch Mansfield, their UK distributor which is owned by Louis Jadot, the latter with Hattingley, an already well-established winery. UK land prices are not cheap, but they are one tenth the price of Champagne, yet this is the only price advantage as absolutely everything else, from vines to bottles and everything in the cellar, has to be imported. 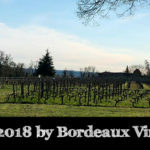 While most vineyards started off making only vintage wines, many are now creating non-vintage blends from stocks of wine built up as reserve, to even out the poor vintages. This is not what I intend to do at Bride Valley and, faced by a very light vintage in 2015 where the wine could not stand on its own, I have blended this 50/50 with the better 2016s to produce a Cremant, with 4.5 bars of effervescence rather than 6. This, I believe, will be the first Cremant in England and if it is as well-received by the market as I hope, we will probably make one every year. Beyond the wines themselves, the estates are waking up to the value of wine tourism: with many vineyards now planted and wineries built, investment is now shifting towards the visitor experience. Richard Balfour-Lynn, owner of the Hush Heath winery in Kent, which he is expanding towards a production of 2 million bottles, had 1,500 visitors in 2015, 18,000 in 2016 and 25,000 in 2017. 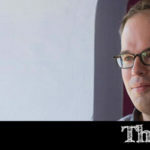 Charlie Holland, winemaker at the very well-funded Gusborne Estate also in Kent, states clearly that “we see the development of oenotourism as the next key stage in the English Sparkling Wine scene.” While do not envisage a ‘visitor centre’ at Bride Valley, we certainly have plans to convert the loft above the stables into a large, airy tasting room. 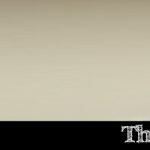 At the end of her article, Susie Barrie ten of her favourite wines. Here they are, with her rankings out of 100. Steven Spurrier, born 5th October 1941, was educated at Rugby School and the London School of Economics. In 1964 he joined the wine trade as a trainee with Christopher and Co (established 1665). 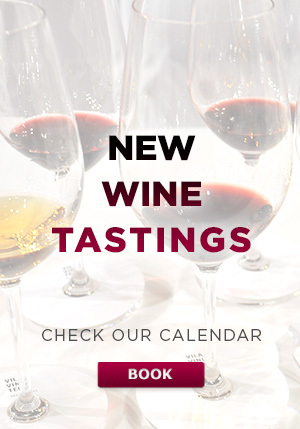 In 1970 he moved to Paris and purchased Les Caves de la Madeleine, a small shop in the centre of the city, and in 1973 opened L’Academie du Vin, the first independent wine school in France. As a partner, he became involved in divers ventures allied to wine: Le Bistrot a Vin, a winebar/restaurant in the business quarter of La Defense; Le Chemin des Vignes, a warehouse and bottling plant on the outskirts of Paris; Le Moulin du Village and Le Blue Fox, a restaurant and winebar near the Caves de la Madeleine. Spurrier is perhaps best known for having created the tasting between top Chardonnay and Cabernet Sauvignon wines from California and France in May 1976, subsequently referred to as The Judgement of Paris. A recreation of this event was held 30 years to the day on May 24th 2006, simultaneously in London and Napa. In 1988, he sold his wine business interests in Paris and returned to the UK to become an independent wine consultant. 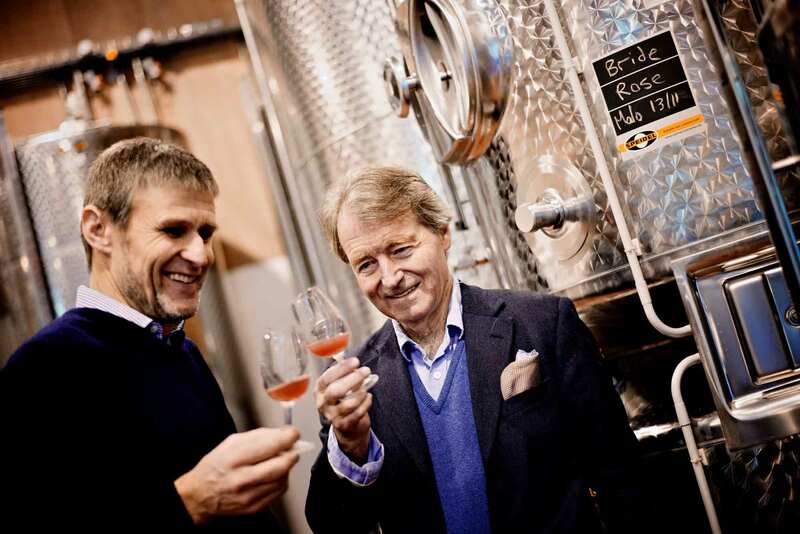 His clients have included Harrods in London and Hediard in Paris, Singapore Airlines and Christie’s for whom he created the Christie’s Wine Course in 1982. He is also Consultant Editor for Decanter Magazine and Chairman of the Decanter World Wine Awards, now the world’s biggest wine competition, since its inception in 2004 and Chairman of Decanter Asia Wine Awards, Asia’s largest wine competition, since 2012. 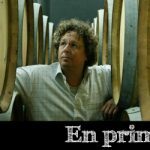 He is the author of eight books on wine of which two: L’Academie du Vin Wine Course and L’Academie du Vin Guide to French Wines have been translated into several languages. 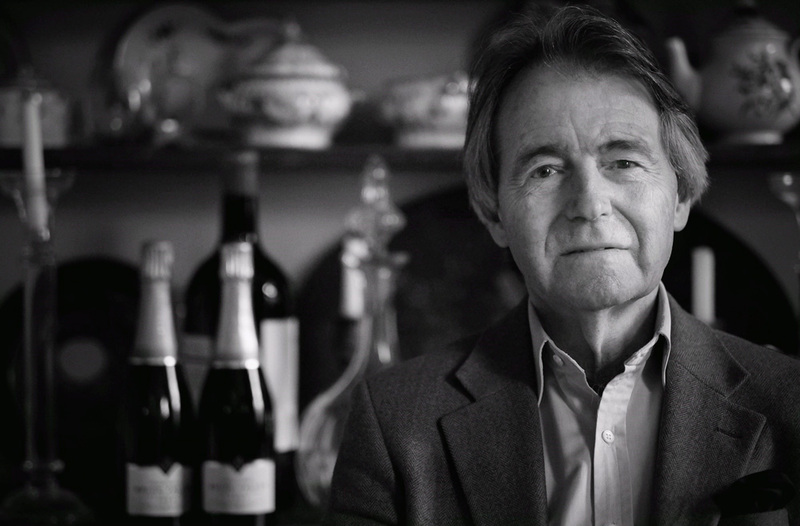 Some of the prizes and awards that Steven Spurrier has won include “The Bunch Award” for articles in Decanter in 1996, “Le Prix de Champagne Lanson” in 1997, “Ritz Carlton Millienia Lifetime Achievement Award” in 1999 and “Le Prix Louis Marinier” for writing on Bordeaux in 2000. In 2001 he was awarded “Le Grand Prix de l’Academie Internationale du Vin” (only the third time this award has been given since 1982) and also “The Andre Tchelistcheff Maestro Award” from California. He is married, with two grown-up children, and lives, when not travelling, in London and Dorset. 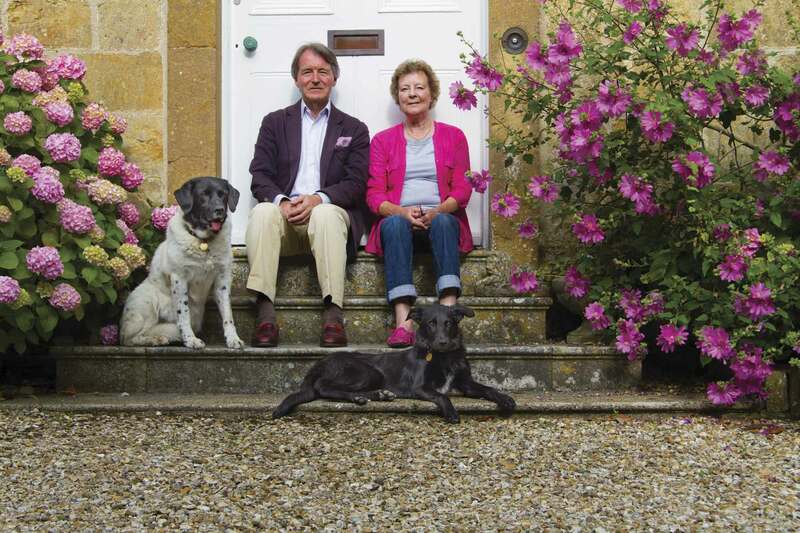 After much reflection and research, he decided with his wife Bella to plant a vineyard on their farm in south Dorset. 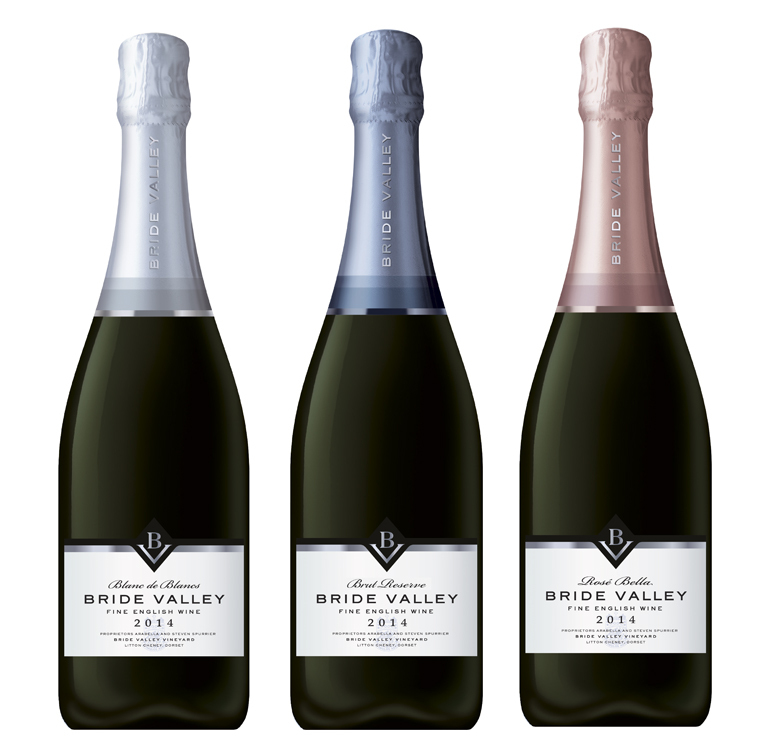 There are now 25 acres planted to 55% Chardonnay, 25% Pinot Noir and 20% Pinot Meunier to make English Sparkling Wine under the name Bride Valley Vineyards, the first vintage being harvested in October 2011, the month of his 70th birthday. In 2017 he was made Decanter Man of the Year and also Honorary President of the Wine and Spirit Education Trust.